Though floral usually screams warmer months, dark florals are the perfect print for Fall. A moody take on the floral dress can be such an easy way to bring some femme to the heavy clothes we are sporting. 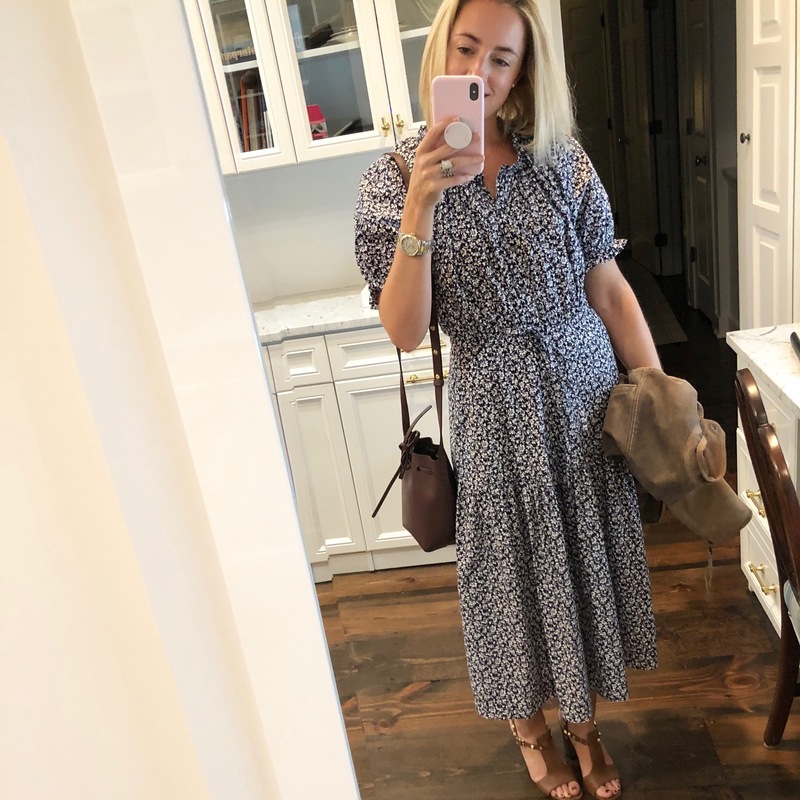 I love this La Vie Rebecca Taylor version (unfortunately sold out) and am excited to wear it with boots. 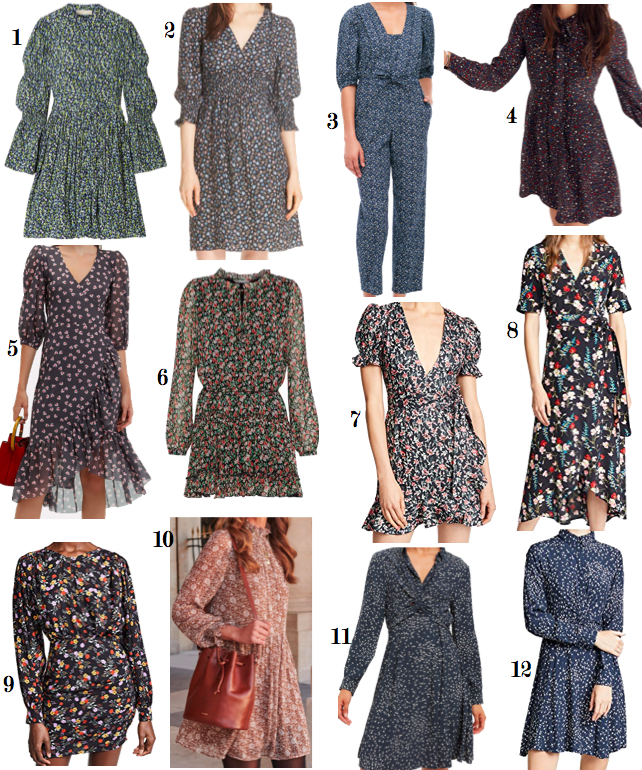 There are plenty of moody floral dresses perfect for throwing on during the day with flat over the knee boots. And I love a long version with your favorite mules or booties.